by Dwight Goddard. Prince Siddhartha Gautama, Right Ideas, Speech, Behaviour, Right Vocation, Words, Conduct, Mindfulness, Concentration, Resolution, Environment, Intuition, Vows, Radiation, Spiritual Behaviour, Spirit, Etc. 214 pgs. 5x8. Paperback. ISBN: 0-89540-074-X. by Charles G. Leyland. 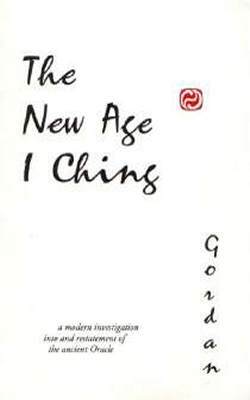 Chinese Knowledge of Lands and Nations, The Road to America, The Kingdom of Fusang (or Mexico), Of Writing and Civil Regulations in Fusang, Laws and Customs of the Aztecs, The Future of Eastern Asia, Travels of Other Buddhist Priests, Affinities of American and Asiatic Languages, Images of Buddah, Etc. 212 pgs. 5x8. Paperback. ISBN: 0-89540-094-4. (QUOTATlONS FROM BUDDHIST LITERATURE FOR EACH DAY OF THE YEAR) Compiled by Ernest M. Bowden with preface by Sir Edwin Arnold. These 366 wonderful quotes are taken from a broad base of Buddhist Literature including many now hard-to-find texts. 146 pgs. 5x8. Paperback. ISBN: 0-89540-291-2.
by Edward J. Thomas. The Ascetic Ideal, Early Doctrine: Yoga, Brahminism and the Upanishads, Karma, Release and Nirvana, Buddha, Popular Bodhisattva Doctrine, Buddhism and Modern Thought, Etc. 316 pgs. 5x8. Paperback. ISBN: 0-89540-100-2.
by Gordan. This book offers a revolutionary approach seeking to understand the oracle from the perspective of our modern age, neither repeating old ideas by rote nor rejecting them for their archaic style, but attempting to relearn their wisdom again. 352 pgs. 5x8. Paperback. ISBN: 0-89540-254-8.
by K.V. Mulbagala. Mind and its Functions, Eight Subdivisions of Preliminary Yoga, Significance of OM and the Soul, God, Primordial Matter and Creation, The Innate Powers of the Soul, Success, Breath, Yoga Postures, Final Emancipation, Etc. 238 pgs. 5x8. Paperback. ISBN: 0-89540-295-5.